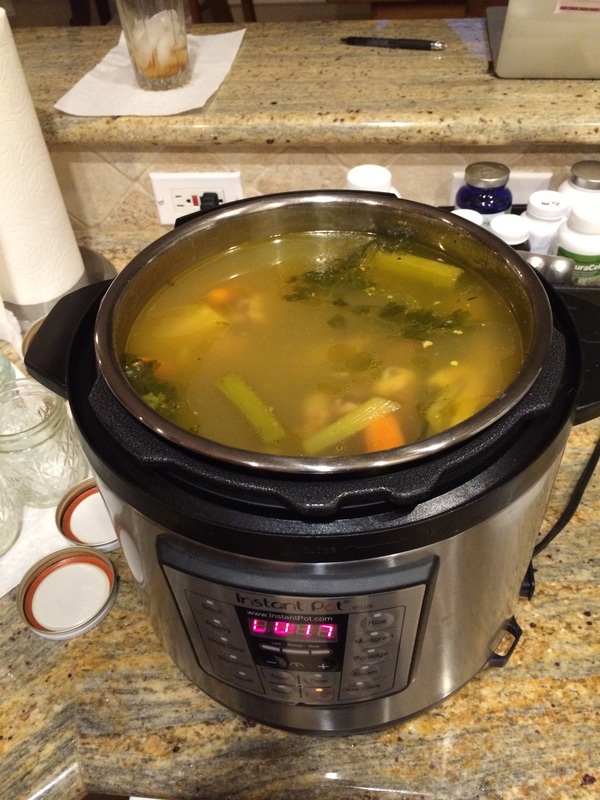 Debbie Fox Gut-ology > Blog > Educational Articles > So What is the “Beef” with Bone Broth? Many people claim that bone broth will cure everything from a cold to cancer. Since this is obviously an exaggeration to these claims, let’s look at the “real” science on this subject. It is a well known fact that mom’s homemade chicken soup is good for the soul, but helping with cancer? Really! Well researchers have concluded that some of the constituents of bone broth do indeed have anti-inflammatory properties, and all dis-“ease” has a root in inflammation. First of all, homemade pasture raised organic chickens have been eating what they were created in nature to eat; bugs, grass, rocks and some grains (when the bug supply is slow in winter months) for centuries. When you eat grass-fed pasture raised chickens, you are getting a good ratio of omega 6:3 fats. The optimal ratio would normally be 1:1, and many of the meats raised properly are 2:1, and often times better. When you sip a really good cup of bone broth or add it to vegetables etc., you are getting a pretty good dose of a broad range of amino acids, and other minerals. It is particularly high in glutamine (rebuilds the gut), proline, and glycine. These proteins perform a variety of crucial functions. First of all, they give your body the raw materials to rebuild your own connective tissue, especially tendons (which connect muscles to bones) and ligaments (which connect bones to each other). The glutamine can calm the nerves, and rebuild the lining of the gut, while still tasting yummy. Aside from the benefits of all the proteins, bone broth is extremely high in minerals. Bones from land animals are rich in calcium, magnesium, potassium, and phosphorus, and fish bones also contain iodine. Collagen is also known to ease pain better than traditional supplements, and the combination of chondroitin, glucosamine and type-2 collagen is superior in reducing pain and increasing joint function. Guess what, bone broth has all three, not to say it would not be beneficial to take supplements with your bone broth! Here is the clincher, adding pastured organic knuckles, bones, feet (chicken), backs and joints, builds more collagen in your broth. I jar up most of my bone broth in 6 oz ball jars (leaving 1” of head room for expansion), and freeze them. (I have not had one break). You can put your broth in large jars for approximately 3-4 days in the refrigerator, but leave the fat on top, as it “locks in” the freshness of the broth. Also, I do not throw the fat out as there are many health benefits with the addition of a bit of fat to your broth (Omega 3, 6 and 9), more on that later.